The Christmas lights on neighbourhood houses are flashing, the carols are playing in the shopping centre, and the doors of the classrooms have been shut. Yes it is that time of the year. Another school year has finished with the usual breakup celebrations last week. Over the past few days when my mind has been idol I have been thinking about my youngest. 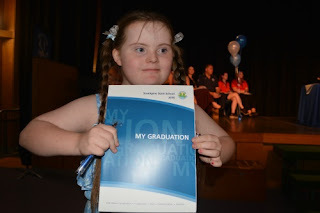 Last week she graduated from Year 6, the final year of primary school. This is a momentous event in most parents lives, but to me, it meant so much more, as it marked the end of my advocating for her to have a 'normal' school life with ordinary children. 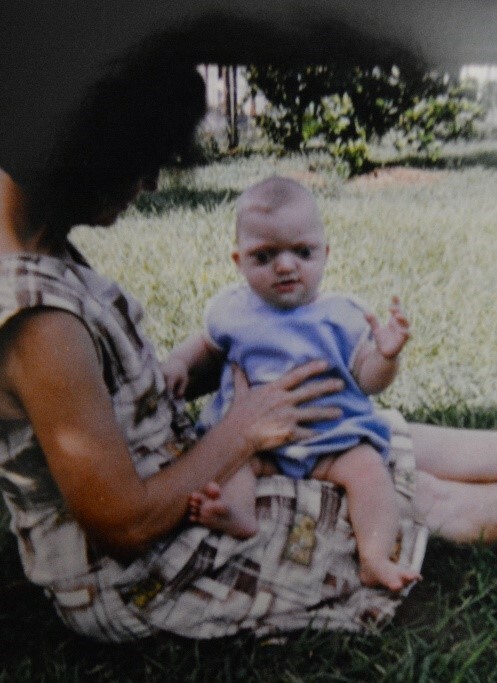 To begin with, I will go back to when Jessica was a toddler. 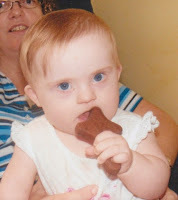 We took her to our church playgroup and the Special Education playgroup at the Special School. I knew the teachers at the SEDU as the unit had been part of my school until it had been moved to the special school. The first step to joining the playgroup had been an application for enrolment. This process was to see if Jessica was sufficiently delayed. It didn't take long to receive the acceptance letter in the mail. 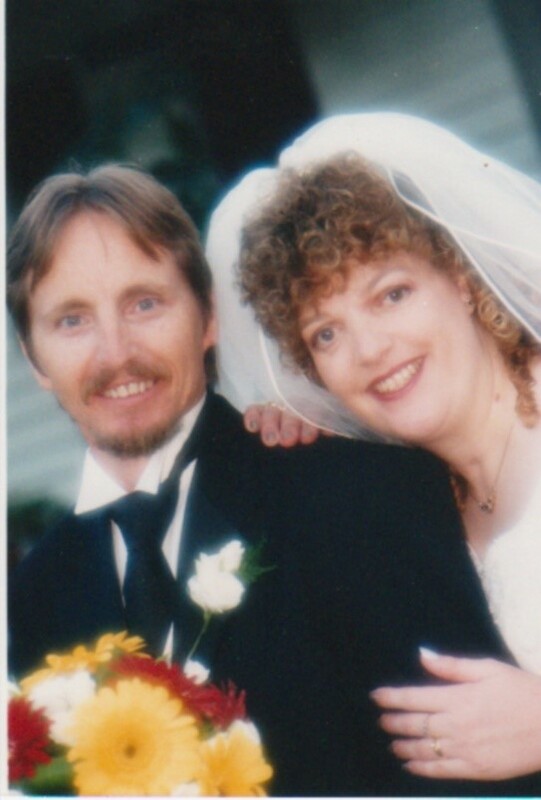 The first morning we were to attend, my husband and I stood in front of the gated and locked fences of the school with Jessica. My heart pounded and I was scared. It didn't look friendly and it wasn't the place I wanted to be. With a deep breath, we entered the admin building, then proceeded to the SEDU block, where we were warmly welcomed which helped put me at ease. The playgroup was highly structured with gross motor, fine motor, sensory and language activities. Other families joined and I've been fortunate enough to still have those friendships. From playgroup, Jessica moved to Pre-Prep. She attended the special school class and the local C&K kindergarten where her older siblings had gone. 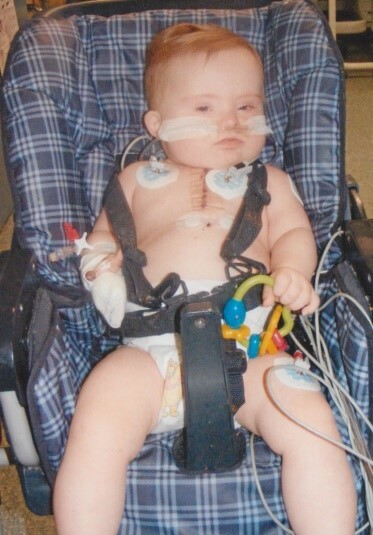 There had been no barriers or gatekeepers at the kindy and Jessica was welcomed with open arms. Pre-Prep was a positive experience for Jessica, though we quickly saw a difference in the two settings. At the special school Jessica was in a group with boys who had autism and were nonverbal. She quickly began to mimick their behaviours and wouldn't speak while she was in the classroom. She was also asking for help constantly and not doing the things we knew she could do. The special school teacher also seemed to be obsessed with her toileting and bowel movements. The C&K kindy gave us the impression that they were interested in Jessica as a whole child. Like at the special. ed. school she mimicked the children there. The difference being the children spoke and used the toilet... so that's what Jessica did. Basically, Jessica was doing so much more in the mainstream setting. The kindy wanted Jessica to write her name, sit on the carpet for lessons, and do what the other children were doing, which was so much more than the children at the special school. They also did gross and fine motor activities and worked on routines for preparing her for school. At the end of Pre-Prep, we had a decision to make. We could send Jessica to the special school, or she could repeat Pre-Prep, or she could go to the local mainstream school for Prep. That was the school where I taught and Jessica's siblings went. On reflection this should have been a no-brainer based on what I have has written, but at the time it was a really difficult decision. There was no one to talk to and we wanted the best for her. Should we hold Jessica back? Would she cope in mainstream school? 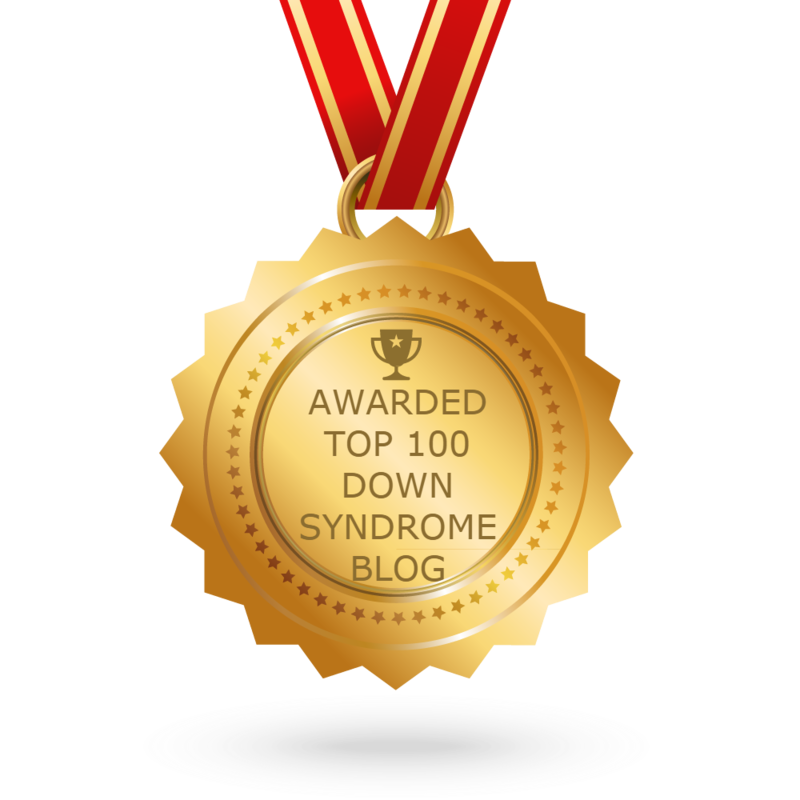 Most children with DS go to the special school, so was that the best place for her?... So many thoughts. So many questions. We ended up writing down the pros and cons of each setting, the mainstream setting winning... but still we weren't prepared to jump fully into one. We decided against holding her back at kindy. That left the option of special or mainstream and we couldn't decide. 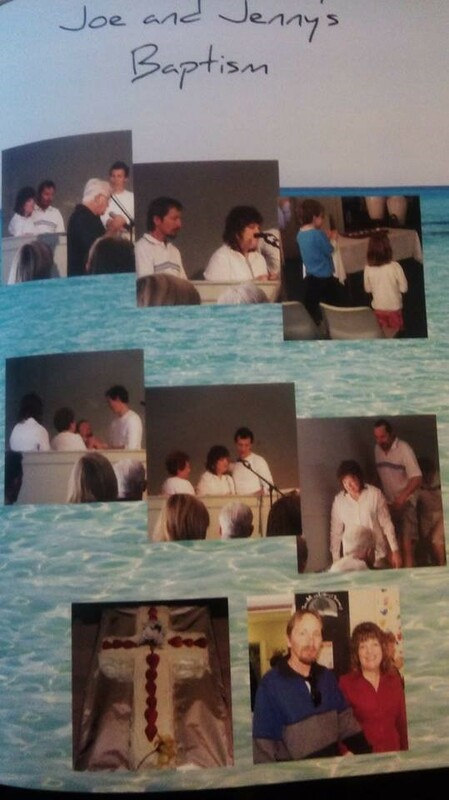 Fortunately, at that time there was the option of a dual placement so the child could test the waters in both settings. The principal at my school was very supportive and positive about having Jessica and her Prep teacher was happy as well. By the end of the first week of Prep Jessica had told us where she wanted to be. She only wanted to be at the school with her mum, sister, and brother... mainstream. We actually breathed a sigh of relief. That first year was a learning year for us, and for the school. No child with Down syndrome had ever been enrolled, but there had been many children with autism and a few other disabilities. Jessica posed some challenges as a runner and having a stubborn streak. She needed to be kept an eye on at play time and a temporary fence was constructed so Jessica couldn't run up the side of a classroom and onto the road that led into the school, and as we didn't want her wearing a fluoro vest or any other type of 'making her different' clothing item, her name was written in big letters on the top brim of her hat. The playground and sandpit being located outside of the classroom was always a problem as Jessica would rather be playing in and on them than in the classroom. A counting back from 5 strategy was introduced which we also used at home. The children in her class embraced Jessica, though tended to mother her and want to do everything for her. The teacher ended up having a system where she would put all the names of the children in a container and would pull out the name of Jessica's helper for the day - this seemed to stop some of the mothering. Jessica though learnt early on that if she acted helpless, others would do the work for her. For Jessica to receive extra funding for support she needed to be verified during the Prep year. We were okay with that, and she received the label as Intellectually Disabled (ID). At the end of Prep there was another decision to be made. Should Jessica repeat or should we send her on? She had made some progress in Prep and was understanding how school worked. Any concepts or facts that were attached to a song, she remembered. (Over time we realised this was the main way she learnt). We decided on sending her on to Year One as another year in Prep would not have benefited her a lot, and she was with a very caring cohort of children, and that might not be so the following year. And as it was, some of the children went through all of her 7 years of primary school with her and looked out for her the whole way through. Year One was a problem from the end of Prep when children were allocated to classes. The teacher Jessica was designated to did not want her as she was studying her Masters and felt she wouldn't have time to prepare for Jessica. I was most offended, as I did not think a colleague would say this. It hurt. I went to the deputy-principal to sort the situation out. He told the teacher she was having Jessica as the other classroom being an open plan was not safe for Jessica to be in. So that was that. It was difficult. Parents may think teachers who have their children at a school have their choice of teacher... not always so. My classroom was directly opposite which the teacher probably found uncomfortable. Most people remember the year Jessica was in Year One because of the baby gate in the doorway, which by the end of the year Jessica had mastered to open! Now this year didn't end up being all negative, as the teacher attended the Down syndrome Queensland teachers' conference. She saw how well Jessica was doing and realised why her parents had Jessica enrolled in mainstream school. She came back from the conference with a change in attitude and tried much harder with Jessica. It was wonderful to see. Jessica progressed in many areas. 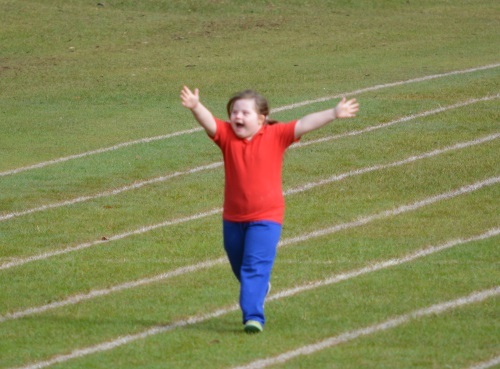 By the end of Prep, Jessica was being noticed by the school community, and during Year One, attitudes were being challenged. 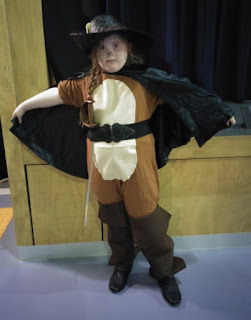 We noticed a change in people's perceptions of DS when we would hear comments like, 'she's so good', after Jessica's class performances at assembly. Our usual response was to smile and think, Go Jess! As Jessica was a runner, parents and the tuckshop helpers would keep an eye out for her and if she was somewhere she shouldn't be they would tell someone, or me. I would say that my most stressful memory from Year One was the time Jessica went missing. I was on playground duty and two children from her class came to ask me if I'd seen her. I hadn't. The search was on... where was she? My heart pounded and all my worst fears were being lived out in my head as people searched the school and the nearby creek and nearby streets. In the end Jessica was found hiding in a classroom. I didn't know whether to hug her or go mad at her! In Year One I started going to CRU (Community Resource Unit) events on inclusive education and was becoming aware of the research around why inclusive education was the best place for Jessica to be. I also learnt what inclusion was and wasn't. Just being in a mainstream school was not inclusion. This knowledge would stand me in good stead for the advocacy work I would need to do in the following years. Year Two started off well but in the first term that teacher went on extended leave and the class had a relief teacher for the rest of the year. This teacher had no intention of including Jessica in activities. This realisation was difficult as she was in the classroom next to me. 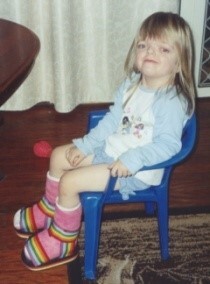 I would see Jessica often sitting at the side of the room playing with blocks or looking through books. I organised a meeting with the teacher to discuss what was going on. I took the book, I Choose Inclusion, with parts highlighted about what inclusion is and why it is best practice. The teacher didn't care. She wanted to know why Jessica wasn't at the special school. 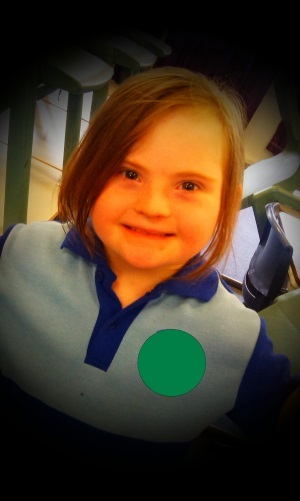 When I told her the reasons and showed her the book, the teacher wanted to know if there was a school for Down syndrome children I could send her to. I was flabbergasted and ropeable. I went to the principal who was new. The principal fobbed it off as the teacher didn't mean it the way it had come across. Of course she meant it but that showed me there would be no support from this principal. I went on extended leave soon after for anxiety and depression, so did not see more of what was going on in the room. That year was pretty much a wipe out, as Jessica was not included, was not pushed to learn, and she had reinforced that if she didn't do anything no one made her. Year Three. A teacher was transferred to the school who had experience with children with disabilities and she was given Jessica. We met with her on the pupil free days and she was positive about the year. I was happy and thought, 'Yay, we're going to have a good year.' For the first semester, things seemed to be going okay from what we could tell. I remained on leave and ended up resigning from teaching, so wasn't around to see what was actually happening. Whenever we asked the teacher how things were going she would tell us everything was going well. This was the year I discovered that as a parent you need to look past what the teacher is saying, because things were not fine. Jessica was being absolutely stubborn, refusing to work, and getting away with it, and we did not know. If I had known I could have stepped in and supported the teacher. The way I found out there was a problem was that in the last term I noticed all the other children's artwork was on display but not Jessica's. When I taught, everyone's artwork went up. The teacher's answer was, 'She hasn't done it.' Upon inquiring as to why, her response was, 'She didn't want to.' To this response, I told Jessica she would be doing her art and I would be checking with her teacher... and it was done by the end of the next day. Alarm bells rang in my head and I then inquired as to what else had Jessica not accomplished. The next thing was a hamster cage for technology. Again I told Jessica she had to do it... and it was done. The teacher's excuse for why Jessica was getting away without doing the activities was that she would leave Jessica to the work and then come back to see if she had done it. There didn't seem to be any type of peer support or even a reward system. If Jessica hadn't done the work she didn't have to do it. Now can you see a pattern happening here? 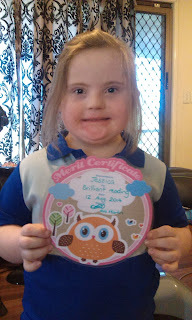 In Year Three, Jessica was also retested for confirmation of her ID label. She underwent a series of tests and retained the label. 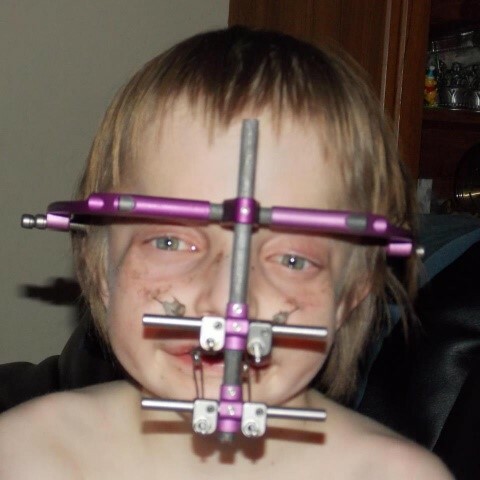 The Guidance Officer then laid it on thick that Jessica was eligible to attend the special school and had we thought about it as the gap was widening and would continue to. She could even be a leader there. I maintained control but on the insid I was boiling with anger. This GO's low expectations of Jessica further gave me the resolve to prove her and the other teachers' antiquated views, wrong. On to Year Four. I felt sorry for this teacher because she had to deal with a stubborn child who thought if she did no work she didn't have to. Again before school started we had a meeting with the teacher. She was transferred in from another school as well, but positive and assured us that Jessica would be working, and that she wouldn't give up on our daughter. She straight away introduced a reward program which Jessica liked. Jessica tried it on but soon learnt it was better to do the work than be kept in. We were seeing faster progress in her work and concentration levels. Unfortunately then, the teacher fell at school seriously injuring herself and took the rest of the year off. This meant many relief teachers and then a permanent relief. Jessica and many of the others didn't learn a lot and the general class behaviour worsened until the permanent relief was put on contract. It was one of these relief teachers that told Joe when he went to pick Jessica up one day, 'You have a hard life.' Something we firmly disagreed with. I would see the final teacher sitting with and working with Jessica but she went back to her old ways of doing as little work as she could. 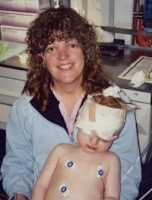 Through these five years ,there were two special education teachers who supported Jessica and the classroom teachers. One in particular did not give in to Jessica's stubborn nature, and made her expectations known to Jessica. Jessica didn't like being made to work but we appreciated it. Year Five. At the beginning of the year, I explained her concerns and expectations to the teacher. The teacher was enthusiastic, had taught Year One previously so had plenty of resources at Jessica's level, and rose to the challenge. She would not let Jessica get away with not working, she implemented inclusive practices and tried really hard to help Jessica. I breathed a sigh of relief. Finally. Jessica still tried it on but was progressing because she was doing the work. The teacher loved to show us Jessica's accomplishments - it was so refreshing. 2017 was a wonderful year. 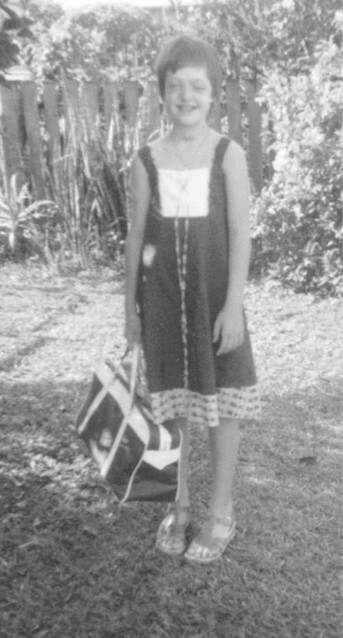 The final year of primary school - Year Six. Again we were blessed with a teacher who understood inclusion and wanted Jessica to learn and progress. This teacher had a fantastic relationship with Jessica and if she asked Jessica to do something, she would do it. Once I knew things were going well, I stayed away from the classroom, like the other Year Six parents. The aim for Jessica was to have an ordinary life, and this was part of it. Other children and parents would tell us things that were happening so if they heard something I would go and investigate. I had an informal meeting with the teacher three times during the year. These meetings were always positive and the teacher would show me the work Jessica was doing. We were appreciative for what this teacher was able to achieve with our daughter. Jessica's passions have always been singing and acting. So through school that is what we encouraged. She joined the choir in Year Two and continued to be involved in it to the end of Year Six, performing at school and in competitions. In regards to acting, she was involved in all concerts and musicals. In Year Six she also had one of the main roles. We encouraged her to play the sports that were offered and in Year Six she played interschool sport. Jessica attended all excursions and camp, and basically whatever the other children were doing, Jessica was doing too. We just had to ensure she was being supported where the support was necessary. By Year Six Jessica was independent the majority of the time. Jessica likes her own company, so this was something that we had to address as Jessica was quite happy to spend all her lunchtimes in the special ed. unit away from her classmates. Without teacher intervention she would not have made friends or interacted fully with her peers, once she reached the middle and upper years. Her Year Five and Six teachers were very good at keeping an eye on her friendships and making sure she didn't spend too much time in the special ed centre at lunchtimes (she was allowed to go but not every break). Even though I knew children were looking out for Jessica, most of the time the children did not seek her out to play with. And as she approached the middle and upper years, the birthday party invitations became few and far between. I noticed in Year Six particularly, that Jessica would be following girls around, she was never with the girls included in their conversations. She never truly had a best friend. This is something I hope will happen in high school. Jessica received awards all through her schooling for academic, social and behaviour, and in Year Six received two Principal breakfasts and the Superstar award (both awards we were told in previous years she would never achieve). Jessica was also given a leadership position in Year Six (which proved the Guidance Officer wrong). If Jessica really wanted to do something she would achieve it. In summary, with all the ups and downs on the road to inclusion, what is my advice for you? 1. Learn about what is and isn't inclusion. 2. Have a vision for your child and hold onto it. 3. Be prepared for antiquated attitudes and even prejudice, because they're still rife. 4. Try and maintain a respectful relationship with your child's teacher, even if you're not happy with them. 5. Know the disability laws and education department policy. You may need to use these at some stage when you are defending your right to have your child in mainstream school. 6. Be part of the community so you have fellow parents watching out for your child and they will let you know if things are happening that you should be aware of. 7. Be on the P&C if you can or help out in the school in some way. 8. Go and see the teacher, and ask to see your child's work. Don't wait for the teacher to contact you as they may not. 9. Have high expectations for your child, and expect the child's teacher to also have them. 10. Join a support group like the Queensland Collective for Inclusive Education where you can be encouraged and supported in your quest. 11. Don't focus on your child's deficits, focus on their strengths. Ensure they are included in all school activities e.g. excursions, camps etc. and if they are have a talent, make sure they are in those activities too e.g. choir, musicals, sport. 12. Remember your own self-care. You must look after yourself and be kind to yourself. 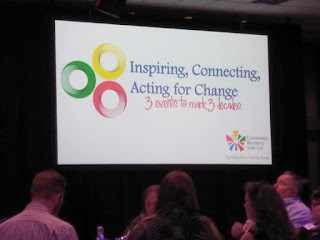 On the 26th of October I went to an event at the Brisbane Convention & Exhibition Centre to help celebrate the 30th birthday of the Community Resource Unit (CRU) at their, Inspiring, Connecting, Acting for Change: 3 Events to Mark 3 Decades. 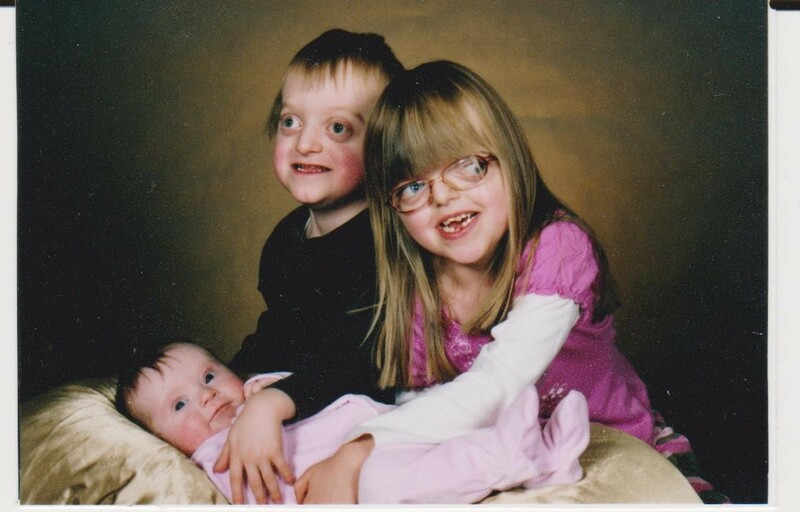 Norman was born with cerebral palsy, and Emma, autism. Norman's story held my interest as he fought to attend his local mainstream high school after being in a segregated primary school, and then he went on to university. He told a story about doing everything he could growing up to not be disabled, and then acting like he wasn't disabled when he was in college. This struck a chord with me as that has been my life with my craniofacial syndrome, my visual impairment, and to some extent even my anxiety and depression. And then he made a comment that really resonated with me. I did not write down exactly what he said, but what I got out of it was that we shouldn't be embarrassed about our disabilities and that society needs to accept us as we are, because we are a natural part of humanity. We have the right to be disabled. And as we are a natural part of society, our accessibility needs (which aren't 'special needs') should be accommodated. Now the reason why I came home with that particular point that Norman made, was that for the last few months I have been undergoing a change in my thinking about my visual impairment. Since writing my children's book Ride High Pineapple, I have been happy to talk about my facial difference, and my anxiety and depression. But I have never spoken about the severity of my visual impairment. 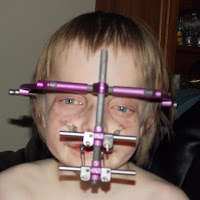 I've lived with my visual impairment since I was 9 years old when during surgery I lost the majority of the sight in my left eye and a lot of the peripheral vision in my right. 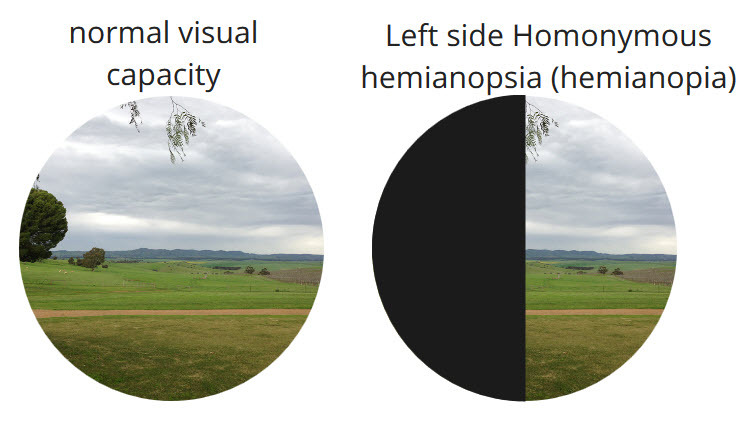 In my right eye, I only see out of a section, similar to a semi-circle (called a hemianopia), I am colourblind, have no depth perception, and also short and long-sighted which I need my glasses for. If these are my eyes, I only see clearly out of the white part. 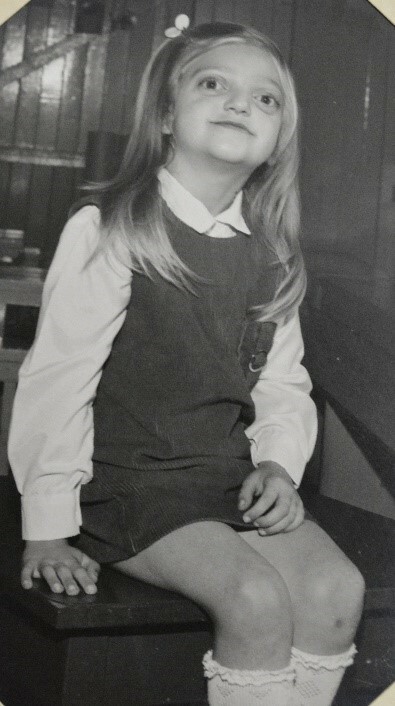 Growing up I wore glasses and had some assistive aids, plus sitting up the front of the room, in school. 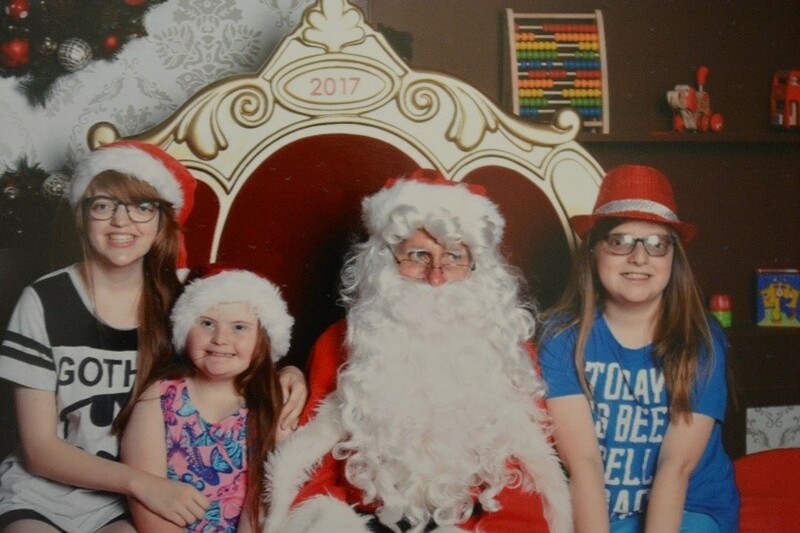 I was bullied about my facial difference and for wearing glasses. In high school I sat with my friends, which wasn't usually at the front, so I taught myself strategies for my lack of eyesight, particularly the skills of listening and remembering what was said and copying from my neighbour. I learned that I needed to turn my head a lot to see what was around me, I had set pathways and knew my way around familiar places, and was always super careful when crossing the road. If I bumped into people I apologised, and when I ran into objects or fell down, I always hoped I wouldn't get too seriously hurt. Having bruises or scratches was normal. My most serious accident as a teenager was when I rode into a car on my bike when they came out from a side street and I was going really fast, and they didn't come into my view until it was too late to go around them. It was devastating at the age of 16 when I was told by my ophthalmologist that I would never drive. A life of dependence was in front of me. And over the years this would wage war in my conscious mind as my life, career, relationships, activities and participation in society, were affected, and not by my own choice. I will never know what it's like to go for a drive on my own or make a split second decision to hop in the car and go for a walk at the beach. Unless I go for a walk on my own, I am always surrounded by people. I need a driver. Now I am not saying this for pity, but just for you to have a glimpse into my world. 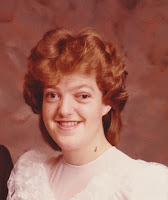 After my final surgery at the age of 18, society deemed me acceptably 'normal' and I generally fitted into it without too many comments on my appearance. That feeling was amazing and no way did I want to ruin it by having something, except for my glasses, that showed I was visually impaired. 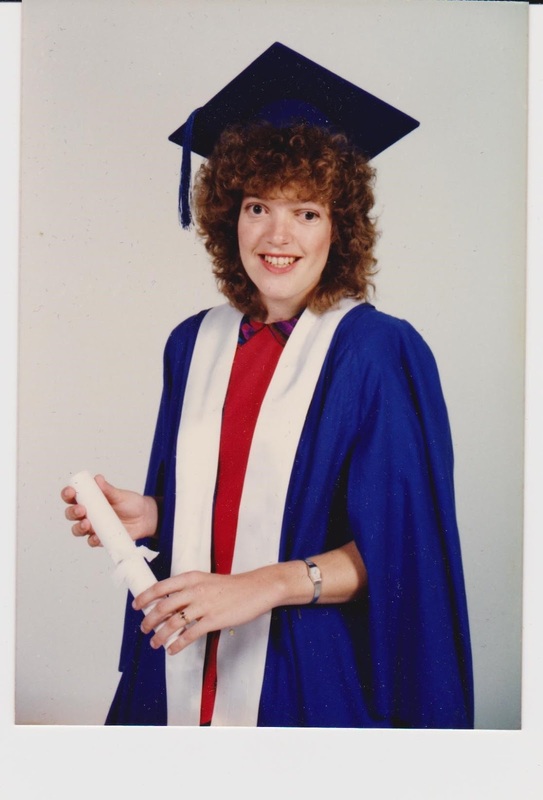 Because of my vision and the social anxiety I had due to my craniofacial syndrome, I stayed in the cocoon of one school, as a teacher, for 25 years. I knew the school environment, I had a way of setting up my classroom so that I didn't trip over things, though it still happened, and on playground duty, I wandered the area the whole time so I could see what the children were doing. Teachers and the principal knew to cough or speak when they came into my classroom. I lived close to school so I could walk or be driven. I never told the children how poor my vision was - I tried to act non-disabled. I don't regret being in the one school as I taught some beautiful children and was able to influence the community, but sometimes I wonder if I had taken a risk, where would my life have taken me? Since leaving teaching 4 years ago my path has widened and taken me into entirely new places - and often on my own (something I am not used to). 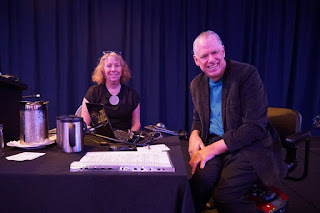 I am involved in new groups and have been invited to speak at a variety of venues. Now with my visual impairment, I have encountered some issues. One is travel as I only feel confident on trains as I cannot read street signs and the train tells you where you are; two I've had some stumbles, near falls which could have seriously hurt me, and falls. I continually bump into things and people, and people rushing past time have given me scares; three, I cannot read menu boards so only go to restaurants that have printed menus or if I am buying takeaway I will buy the same thing each time; four, if I have the option of using a machine or talking to a person for ordering, I will use the person. And five, when going out, particularly where there are crowds, my anxiety levels have become heightened. After hearing Norman's words of wisdom I made the decision which I had been contemplating for a while, to see if I was eligible for a white cane. And after making one phone call I found out I was. 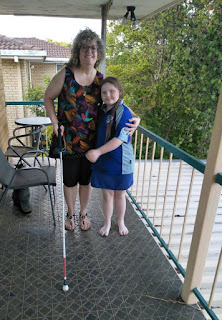 My trainer from Guide Dogs came to my house this week and we began the training. As I stood on the footpath with the white cane in my hand, a mixture of feelings coursed through me. These were excitement, to embarrassment to wondering what the neighbours thought. As I am still in the training phase I cannot take my cane out in public yet. That is going to be another set of emotions. Obviously, the main reason why I am going to use my cane is my personal safety and mental well-being. I am getting older and I do not want to keep falling over things, and running into people. I am hoping people will now give me space and I will feel obstacles that are in my way. I may even be able to order something new off a menu board as I won't be embarrassed to say I can't see it! Lots of people have been telling me since I announced my news, that they knew I had some type of visual impairment because I couldn't drive, but they didn't think it was too severe. Others have said they didn't know I had a visual impairment. These comments tell me that I did a great job of hiding my disability.